When you are researching your surgeon, you will find that they will have a multitude of letters after their name. They may have any of the following, FRACS, RACS, ACCS, ASPS, ASAPS, ISAPS, but what do they all mean? It is important to understand that within Australia and New Zealand there are no legal requirements for a doctor wishing to perform surgical procedures and to have undergone any specific training in surgery. In Australia, there is only one medical college which provides government accredited specialist training and qualifications for doctors wishing to become surgeons. This institution is the Royal Australasian College of Surgeons (RACS). A surgeon trained by RACS will have the initials FRACS after their name, meaning they are a “Fellow” of the Royal Australasian College of Surgeons (FRACS). It is important to note that to ensure your surgeon has undergone accredited training as a surgeon they must be able to nominate FRACS after their name. In addition, not any surgeon can advertise themselves as a plastic surgeon. 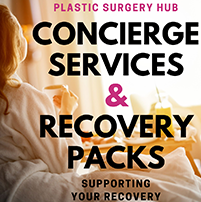 A “Specialist Plastic Surgeon” is a Commonwealth Government accredited plastic surgeon who has been trained by the Royal Australasian College of Surgeons and who has undergone additional specialist training in plastic surgery. 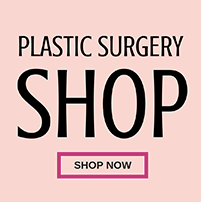 They will display the initials FRACS (Plastic) after their name and they will be a member of the Australian Society of Plastic Surgeons (ASPS). In Australia, the national Medical Board states that the “Specialist Plastic Surgeon” title can only be used by RACS approved specialist surgeons. These surgeons undergo extensive training and it is because of this we recommend that you only consult with a fully qualified plastic surgeon. 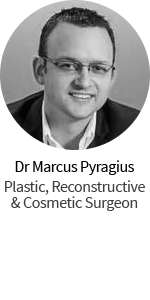 Just to make it more difficult to understand, a “Specialist Facial Plastic Surgeon” specialises in cosmetic and / or reconstructive surgery of the head and neck only. They commonly perform procedures relating to the eyes, ears, nose, neck, face, chin and skin. 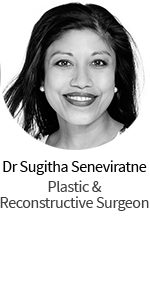 Just like a plastic surgeon, a facial plastic surgeon in Australia is a fully qualified Fellow of the Royal Australasian College of Surgeons (FRACS). They may also be members of the Australasian Academy of Facial Plastic Surgery (AAFPS). They will have completed formal training in plastics, ENT (Ear, Nose, Throat) or even general surgery, before going on to do further training allowing them to specialise in surgery of the face. Doctors who refer to themselves as “Cosmetic Surgeons” may not have received their training from the Australasian College of Surgeons. They will most likely be members (“Fellows”) of the Australasian College of Cosmetic Surgeons (ACCS) and will display the initials FACCS after their name. The ACCS is not an accredited college, but they are and have been for some time in the process of trying to obtain certification. If your surgeon has overseas qualifications (and you are comfortable with that), do your research and find out if they are surgeon qualifications. Remember MBBS (Bachelor of Medicine, Bachelor of Surgery) doesn’t mean your doctor has been trained in surgery. This college was first established in 1927 and is the body responsible for training and examining all surgeons in Australia and New Zealand. It is the only body recognised by the Australian Medical Board as being able to certify a doctor as suitably qualified to undertake surgery procedures. A doctor who is a Fellow of the RACS will have the initials FRACS after their name to signify that they have received extensive training in specific surgery procedures. The Cosmetic Physicians College of Australasia (CPCA) was formed in 2014 by a group of doctors with a special interest in Cosmetic medicine. The College evolved from the Cosmetic Physicians Society of Australasia which was formed in 1997. The principal objects of the College are to establish and maintain high standards of learning, skills and conduct from doctors working in cosmetic medicine. The Australian Society of Plastic Surgeons is the only society recognised by the Royal Australasian College of Surgeons as the legitimate professional body representing the field of cosmetic surgery in Australia. Not all doctors who practice cosmetic surgery are Fellows of the Royal Australasian College of Surgeons. Only doctors who are members of the RACS are able to have the initials ASPS after their name. The ASAPS is a society of Plastic Surgeons all of whom are Fellows of the RACS. The primary function of the society is the promotion of excellence in aesthetic (cosmetic) plastic surgery. The Australasian Academy of Facial Plastic Surgery (AAFPS), the only group of qualified specialists in Australasia focusing solely on facial cosmetic & reconstructive procedures. The purpose of the ACSD is to foster, equalise access and improve training in cosmetic dermatology for all Australasian dermatologists and registrars and, more broadly, to share dermatologist’s expertise with other disciplines. The college was first formed in 1999 after evolving from the Australian Association of Cosmetic Surgery. This college has a single focus on training doctors on cosmetic procedures and offers formal training and accreditation specifically in cosmetic surgery. The college accredits doctors as cosmetic physicians or cosmetic surgeons depending on the particular training that they have received. A doctor who is a Fellow of the ACCS will have the initials FACCS after their name. The ISAPS is an international society of Plastic Surgeons. As it is a society of Plastic Surgeons we understand that any Australian or New Zealand plastic surgeons wishing to join the international society would have to be Fellows of the RACS (FRACS). The Society in Cosmetic Medicine, NZSCM, is now the single unified body in Cosmetic Medicine in New Zealand representing our profession and providing training, supervision and professional accreditation. The Australasian College of Aesthetic Medicine (ACAM) is a membership of medical practitioners trained to high professional standards, whose objective is to serve the community by providing high quality care. The ASDC represents Dermal Clinicians that are dedicated to ethical and evidence based practice, as well as maintaining ongoing education. The ASDC is a collaborative network of members that are clinical practitioners, educators, academics, researchers and industry representatives or associates. The Australian Medical Association (AMA) is the most influential membership organisation representing registered medical practitioners and medical students of Australia. The AMA promotes and protects the professional interests of doctors and the health care needs of patients and communities. The AMA advocates on behalf of its members at the Federal, and State and Territory levels by working with governments to increase and maintain provision of world class medical care to all Australians. The AMA improves patient care by supporting the medical profession through a range of essential services including protecting the academic, professional, and economic independence of medical practitioners; protecting the wellbeing of medical practitioners; promoting and advancing ethical behaviour of the medical profession; protecting the integrity and independence of the doctor/patient relationship; preserving and protecting the political, legal and industrial interests of medical practitioners. The BreastSurgANZ Society was formed in 2010 and our members already manage around 90% of the women with early breast cancer in Australia and New Zealand. The Society is committed to: improving patient care through monitoring the quality of care provided by all our members; facilitating research into new treatments that improve cure rates and quality of life of breast cancer suffers; the improvement of training of new breast surgeons; and improving the knowledge base of existing membership through educational events. 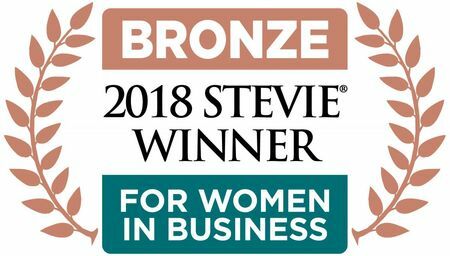 The New Zealand Association of Plastic Surgeons is a non-profit, professional association devoted to the maintenance of excellent ethical and professional standards within the field of cosmetic and reconstructive plastic surgery. 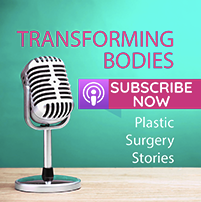 NZAPS represents most of New Zealand’s plastic surgeons and provides a strong voice for plastic surgeons in discussions with the government, the Ministry of Health and bodies such as the Medical Council. Our Education and Training Board oversees matters regarding the training of plastic and reconstructive surgeons in New Zealand and liaises closely with the Royal Australasian College of Surgeons. Click here to add an organisation to the list.